THINK SUMMER NOW! 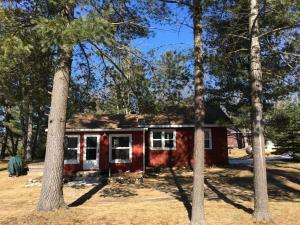 Adorable 2 bedroom cottage with 132.24 ft. of frontage on pristine Little Bass Lake. Deep private lot with sandy beach, dock, swim raft and deck overlooking the waters edge. Stone grill for lakeside barbeques, 2 car garage with drive through and energy efficient cottage with added insulation in walls, ceilings and crawl. Close to golf and miles of snowmobile trails. Great fishing! Enjoy all that Northern Michigan has to offer.